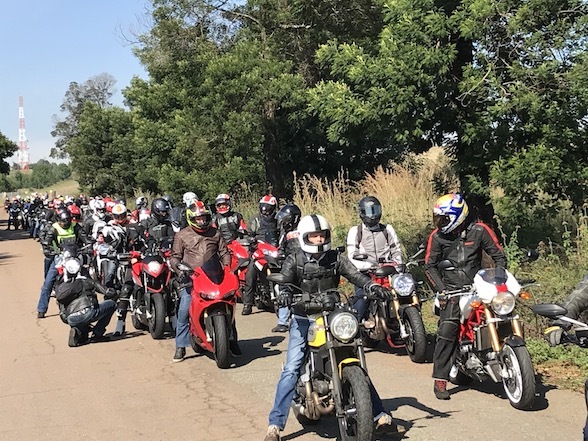 The Ducati Owners Club of South Africa hosted their April breakfast run to the hugely scenic, hugely friendly, although slightly under-catered Imagine Cafe at Bronkhorstspruit, east of Pretoria. 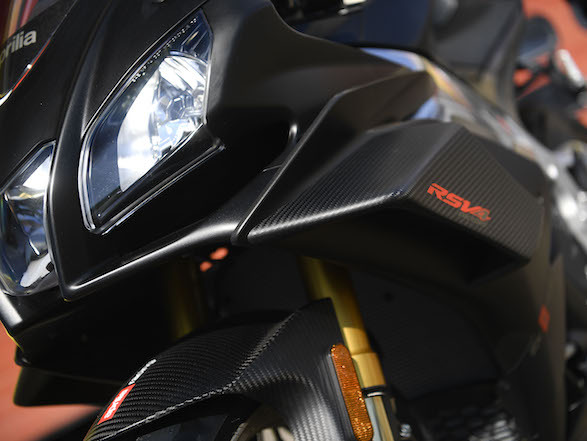 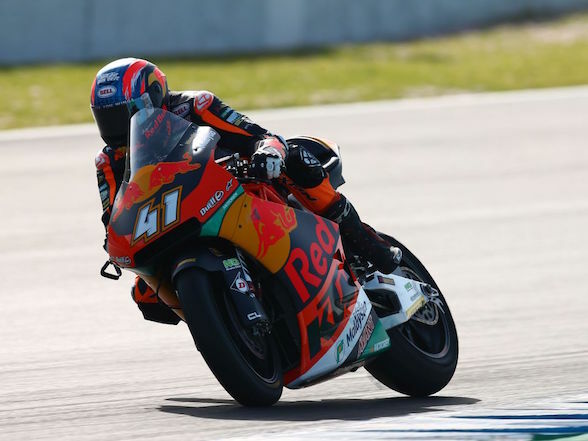 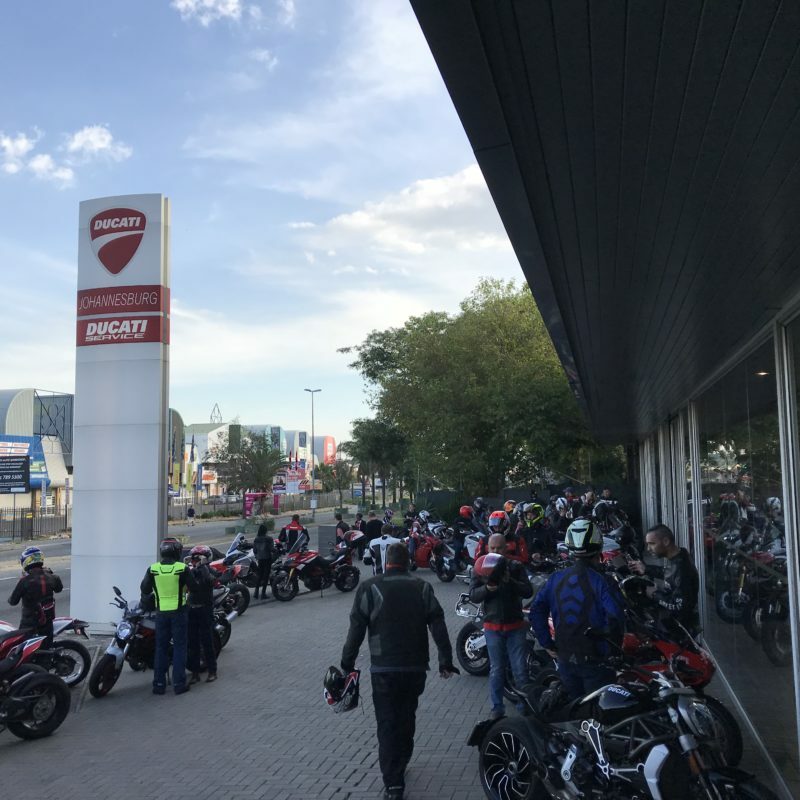 We say under-catered as though they were at fault, when in fact there were nearly 100 Ducatis adorning their bulging parking lot, far more than anyone expected. 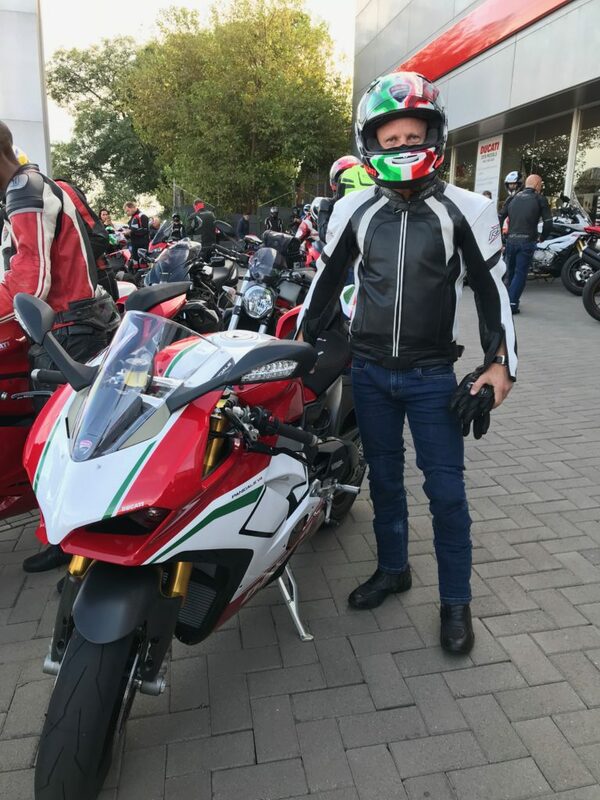 As always, it was a jovial crowd riding a variety of models from a couple on a Moto Guzzi Stelvio to a track whizz in his newly purchased Panigale V4 Speciale. 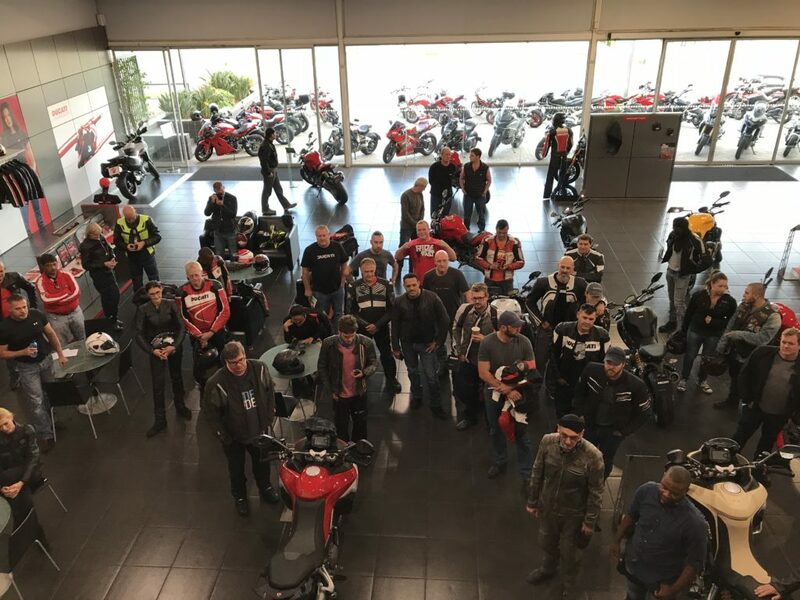 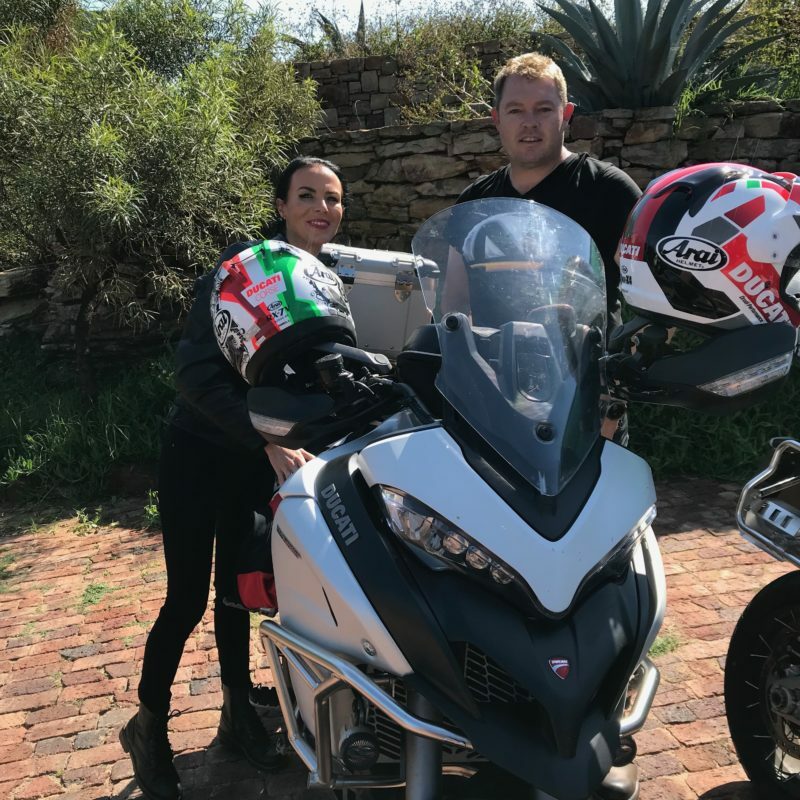 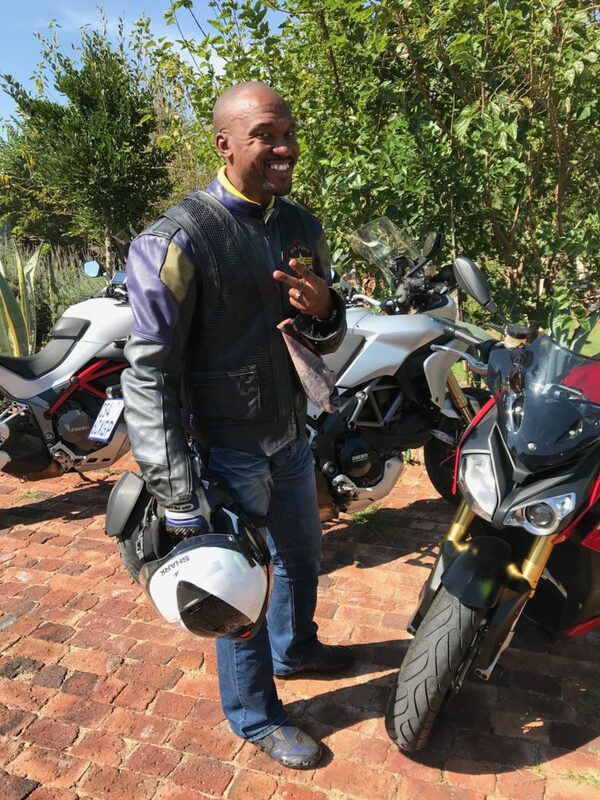 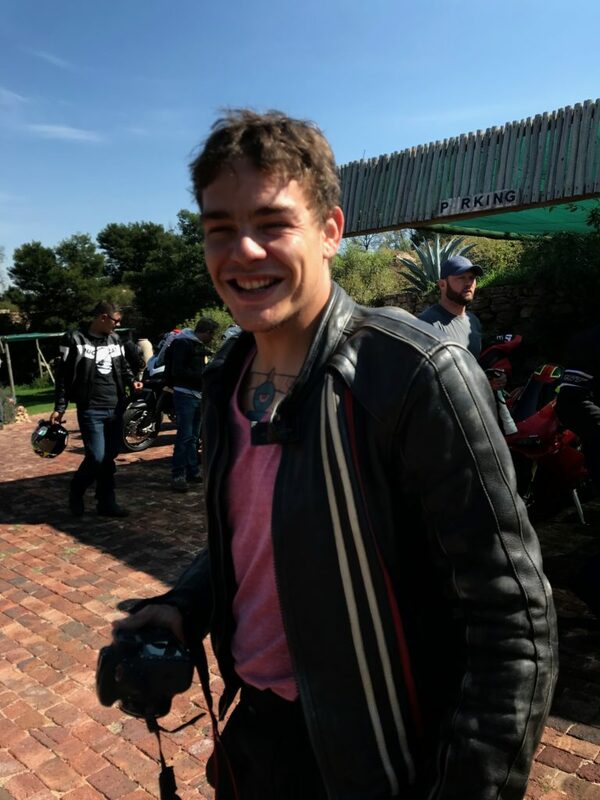 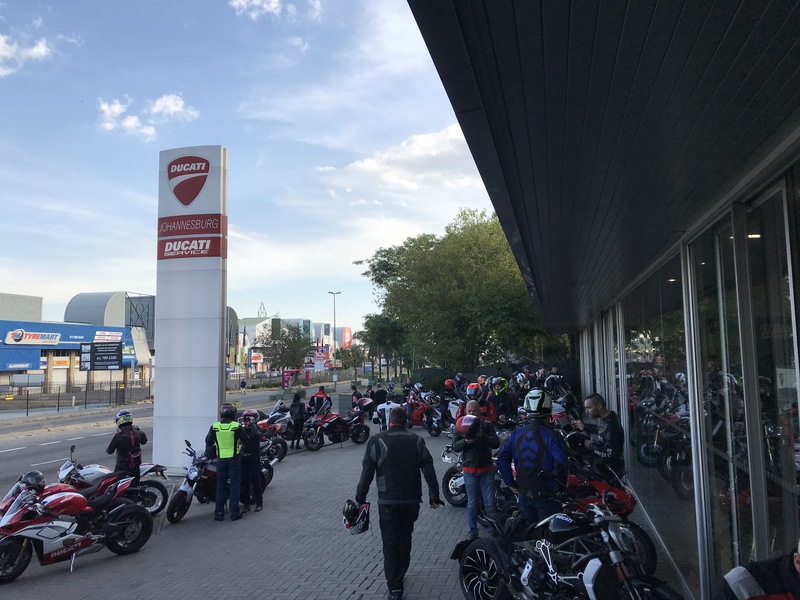 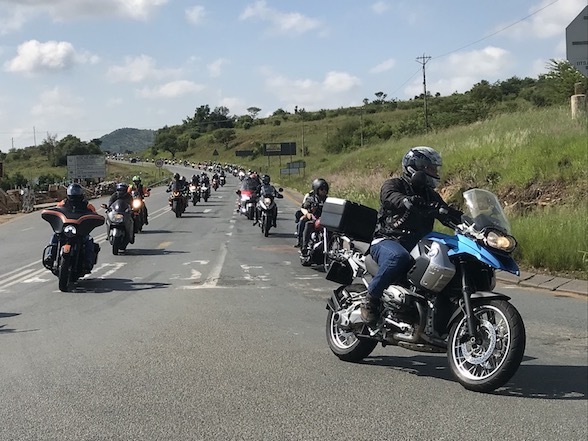 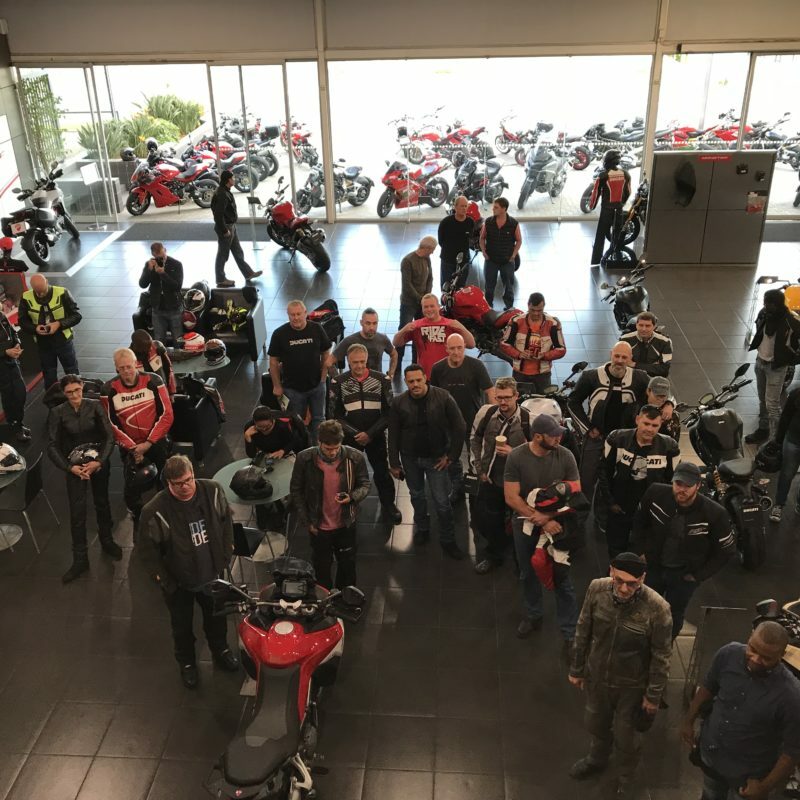 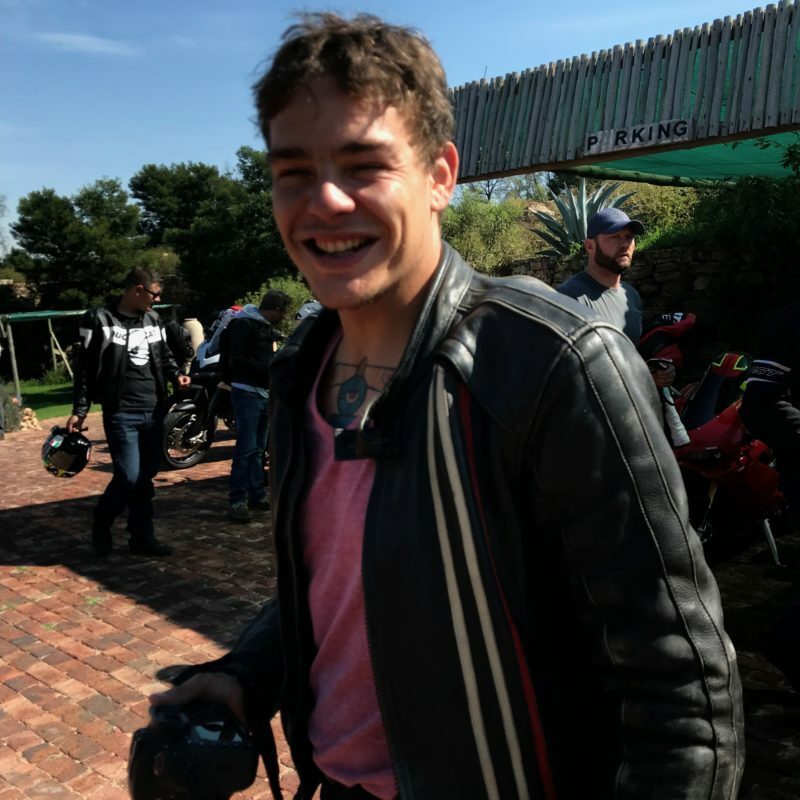 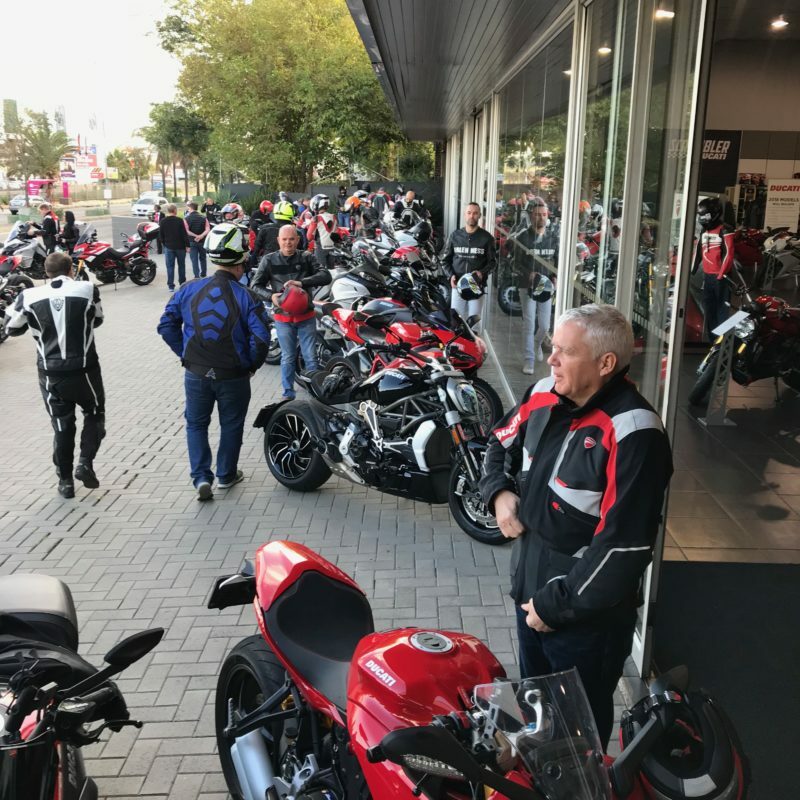 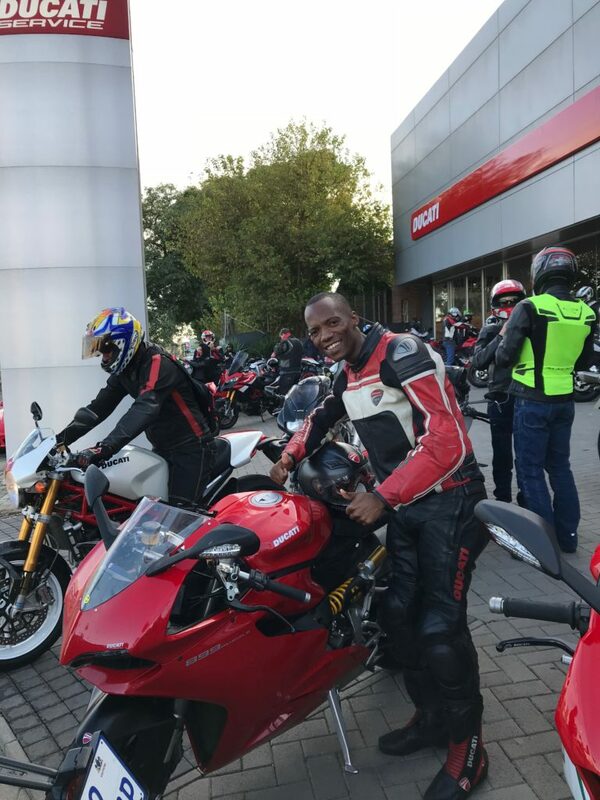 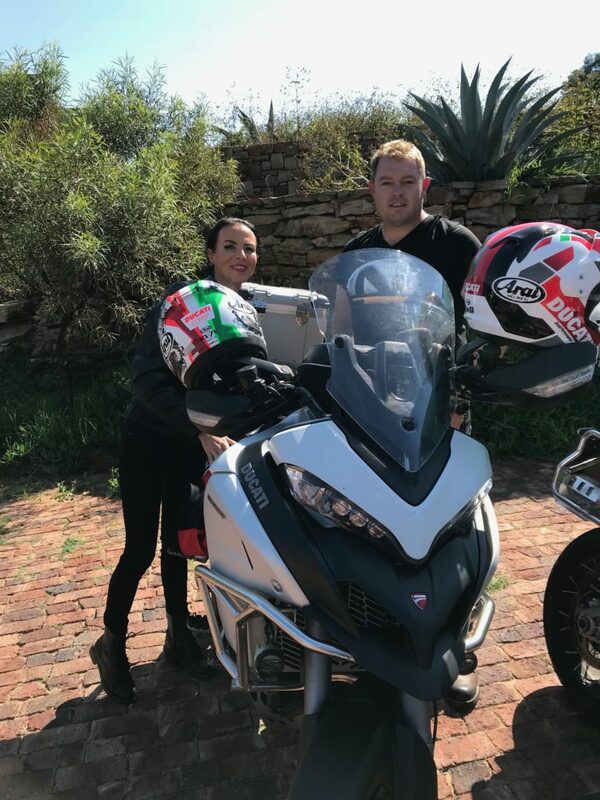 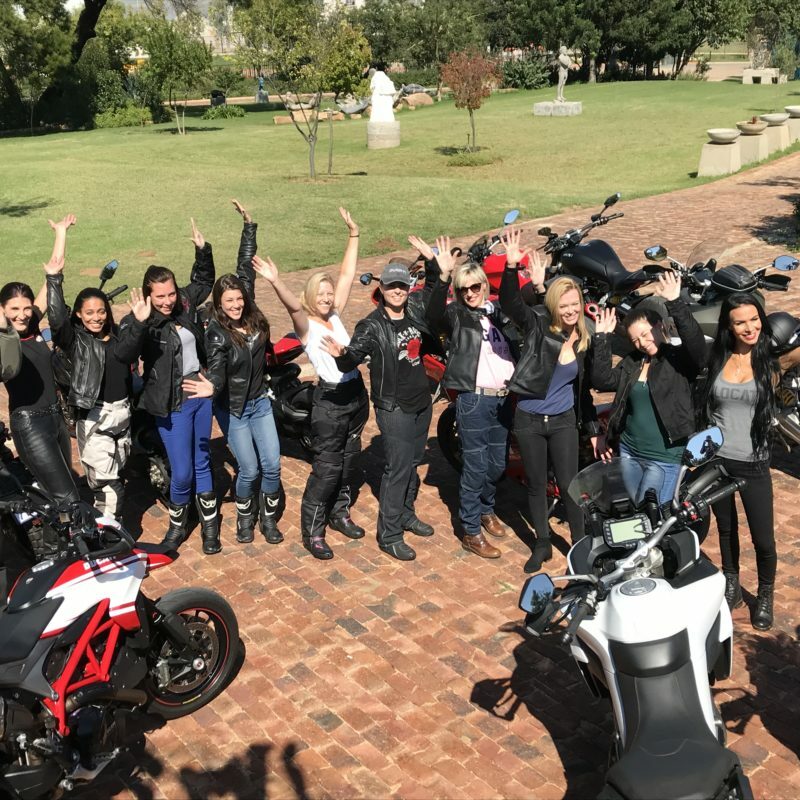 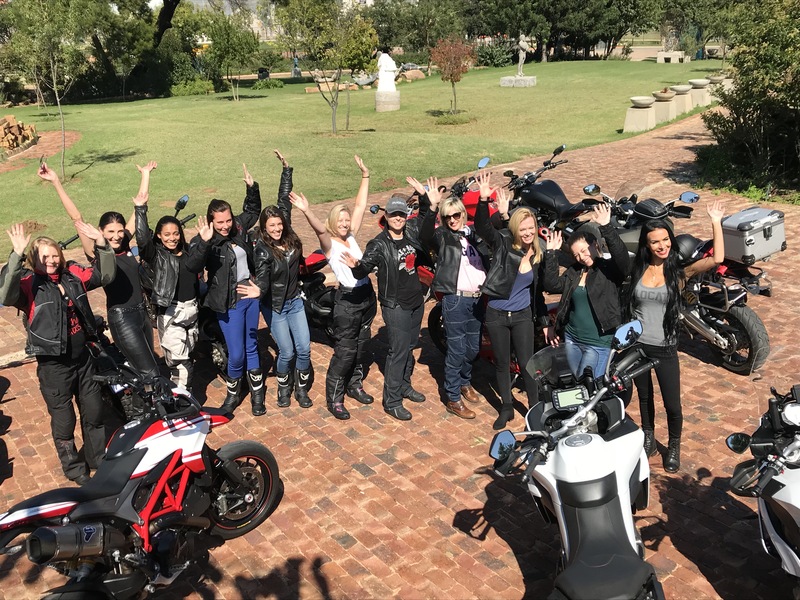 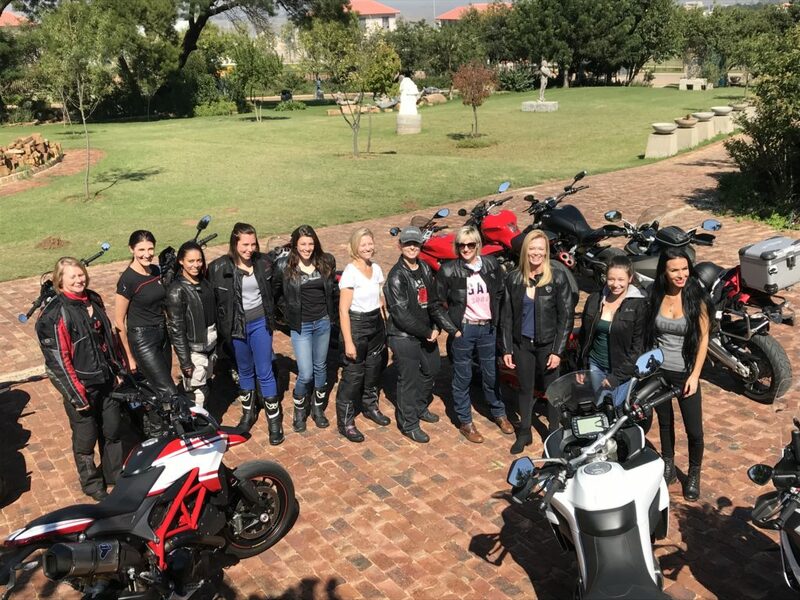 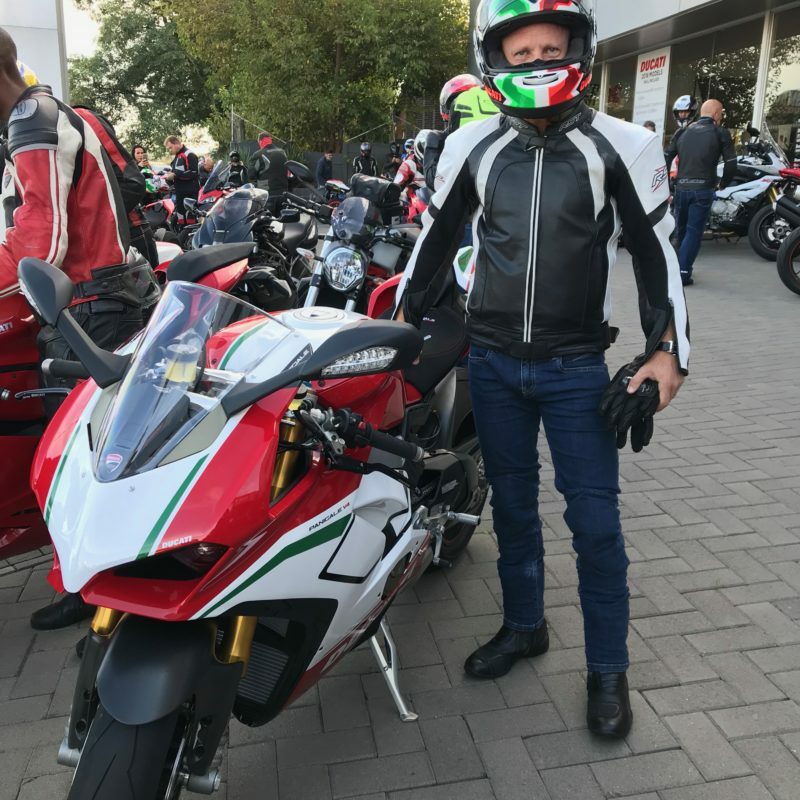 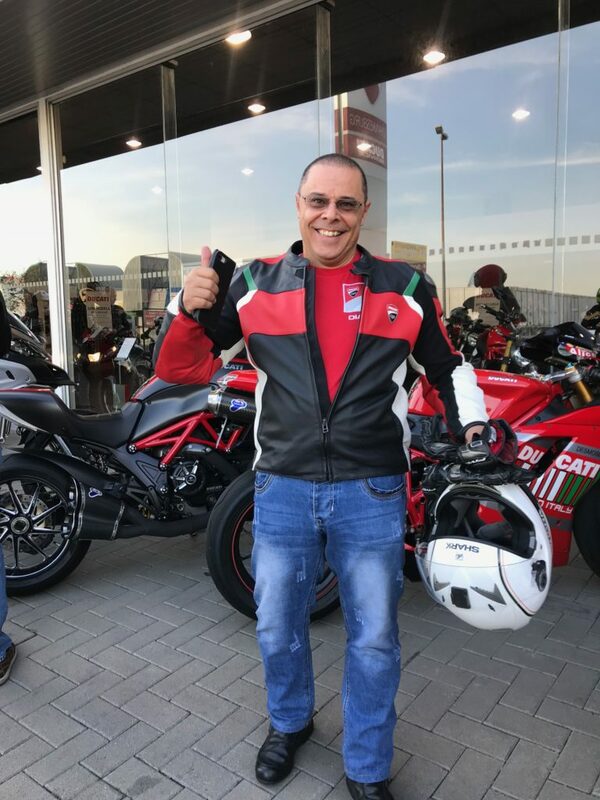 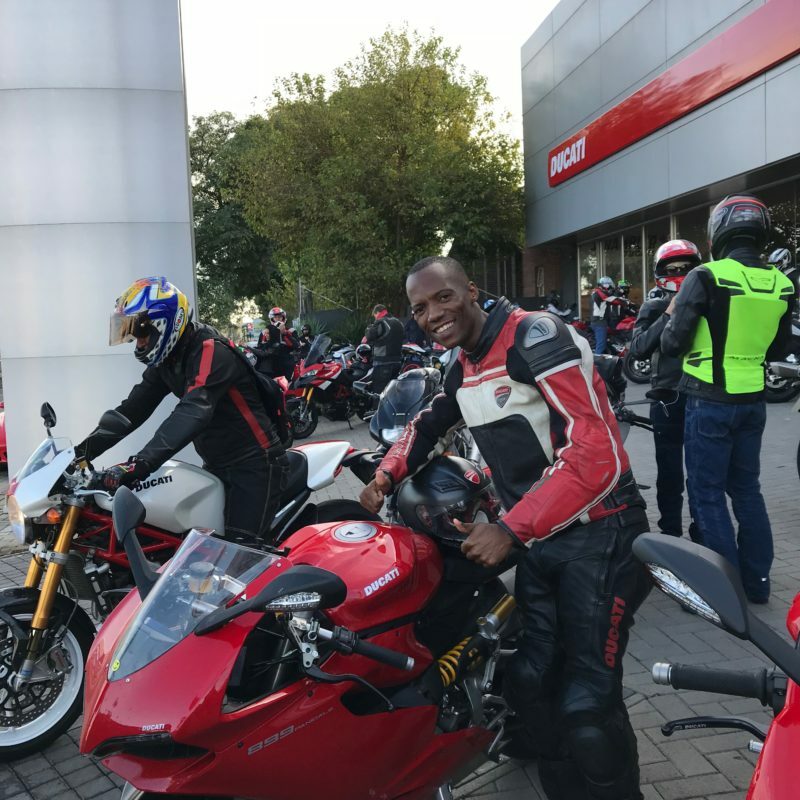 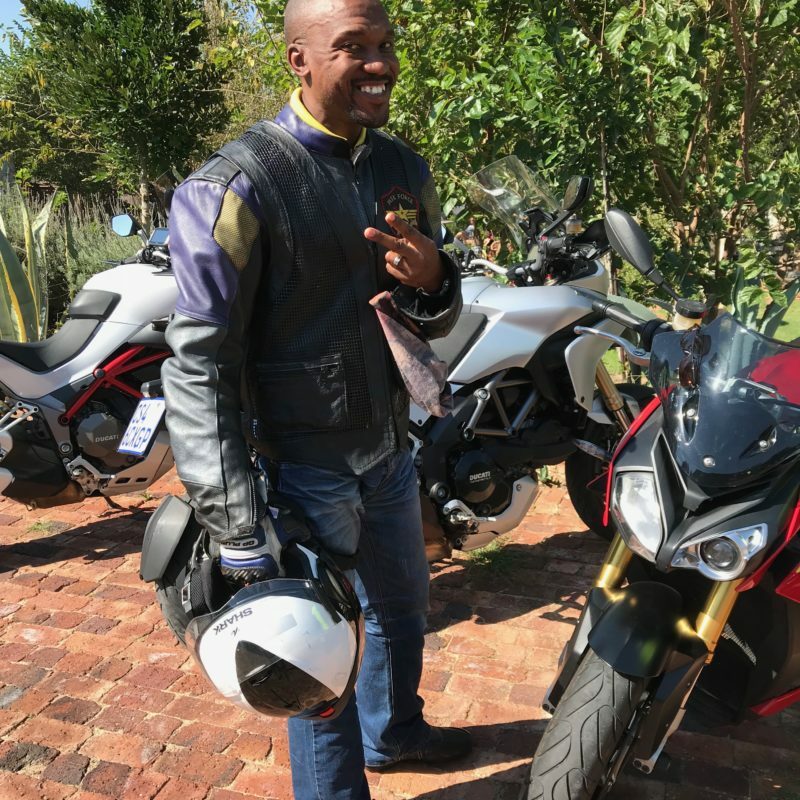 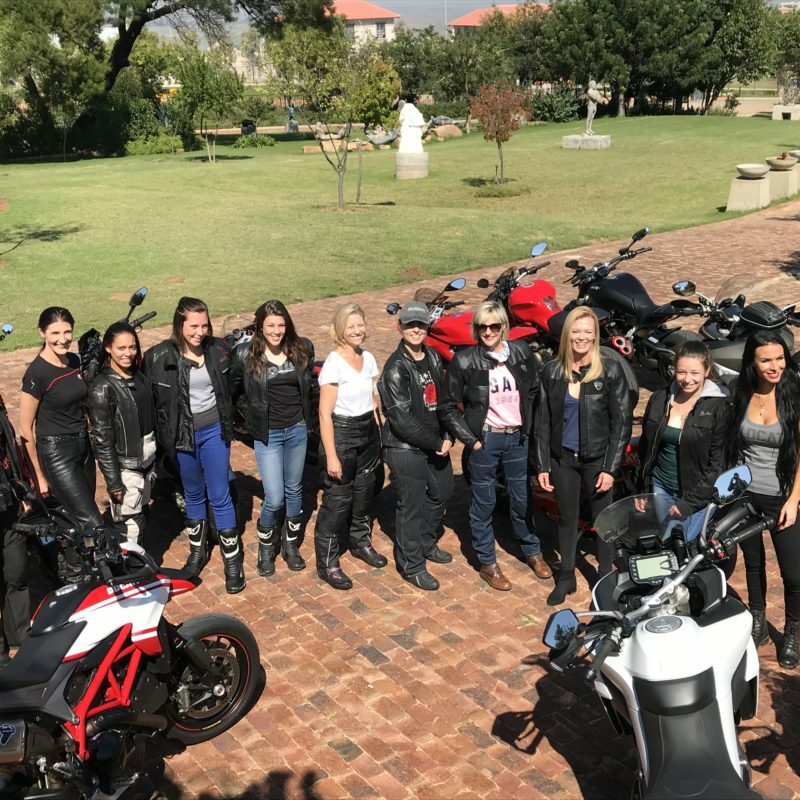 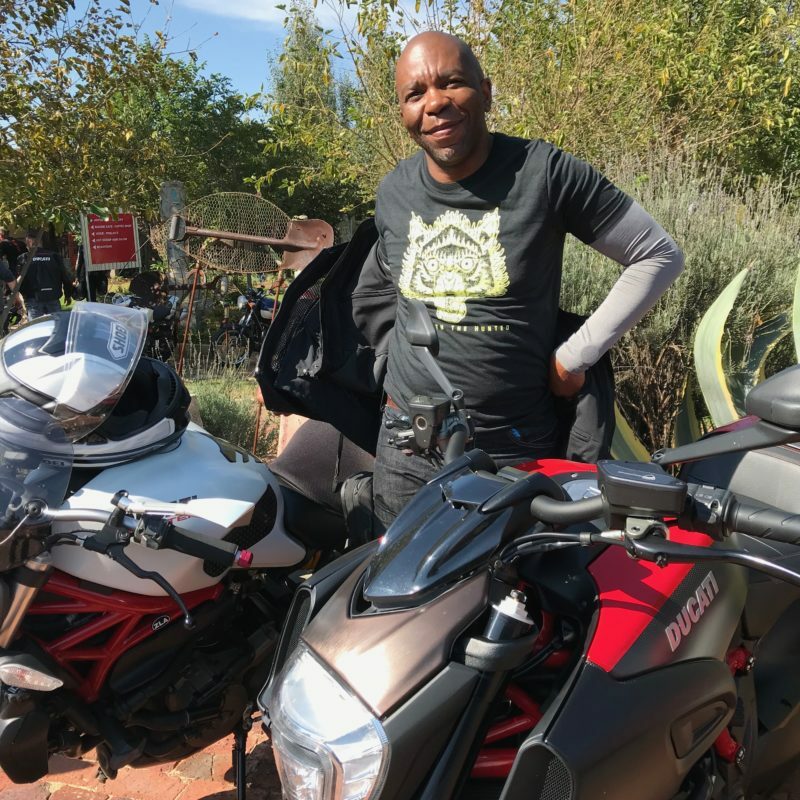 The trip started at Ducati Johannesburg and headed east towards Que Sera where the numbers were swelled by the arrival of the Pretoria group, and the caused quite a stir among the already jolly biking crowd enjoying their breakfast. 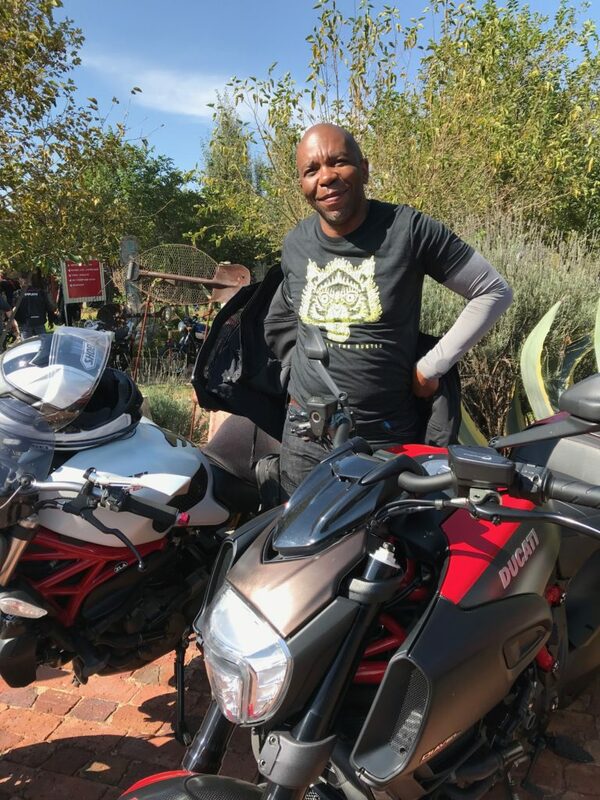 It was an easy 15km ride to Imagine Cafe to round off the 110km ride. 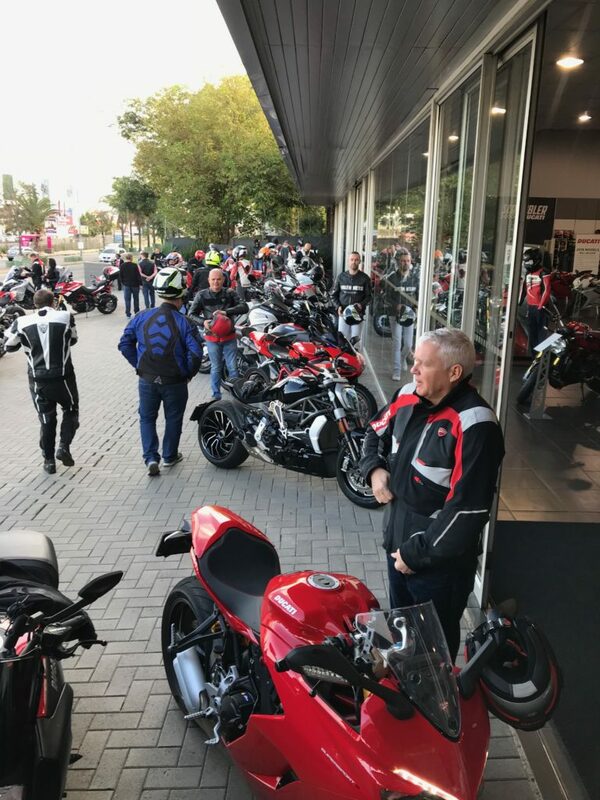 See the full gallery of the run at the bottom of this story. 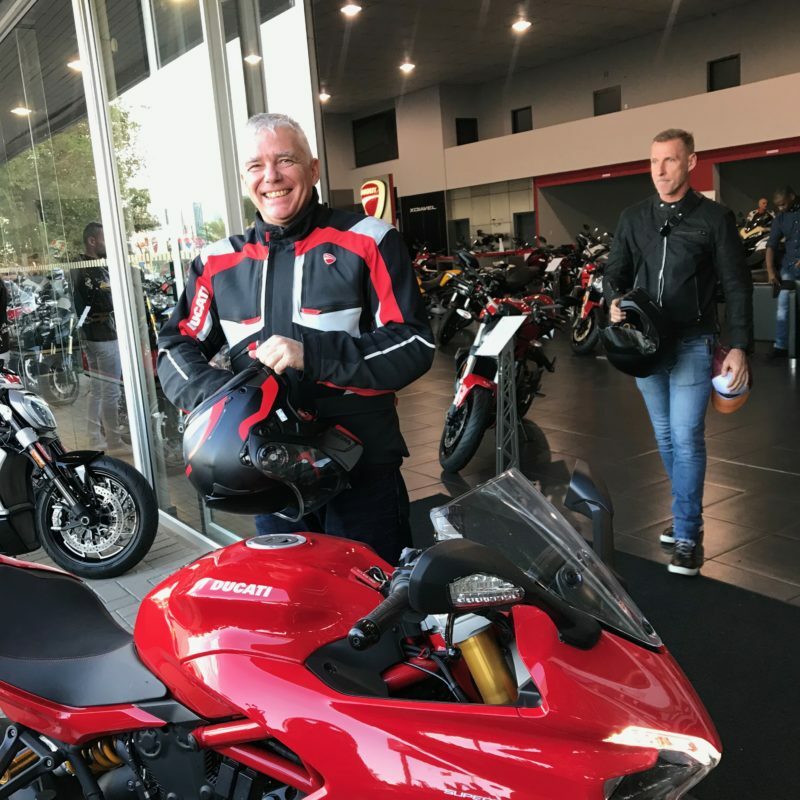 For something a little different to the usual Ducati speedmongery, we set off on the run with the Scrambler Desert Sled and the Cafe Racer, two popular variations of the Scrambler model and two very different bikes. 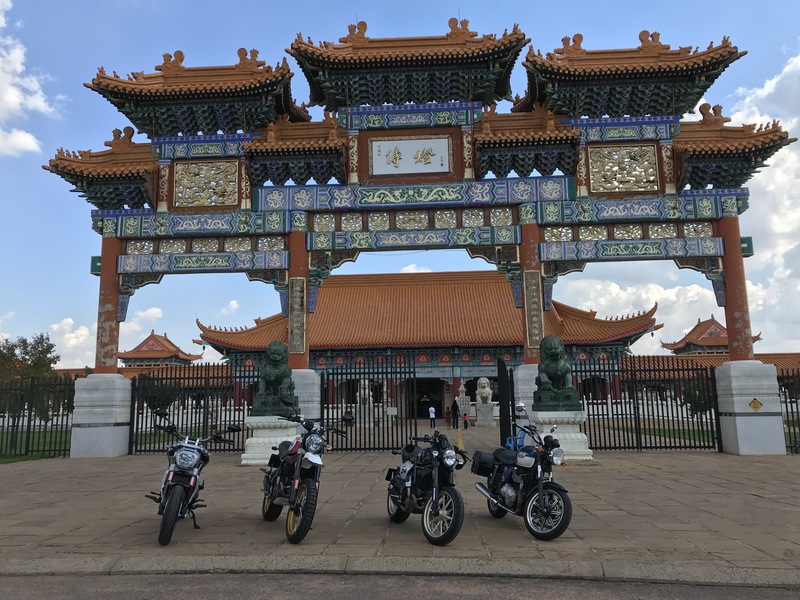 After Imagine Cafe, we journeyed further to the Nan Hua Budhist temple, under the leadership of Shaun Wray, who was adorned with Rev’It retro gear, a Triumph Bonneville and a lot of stubble. 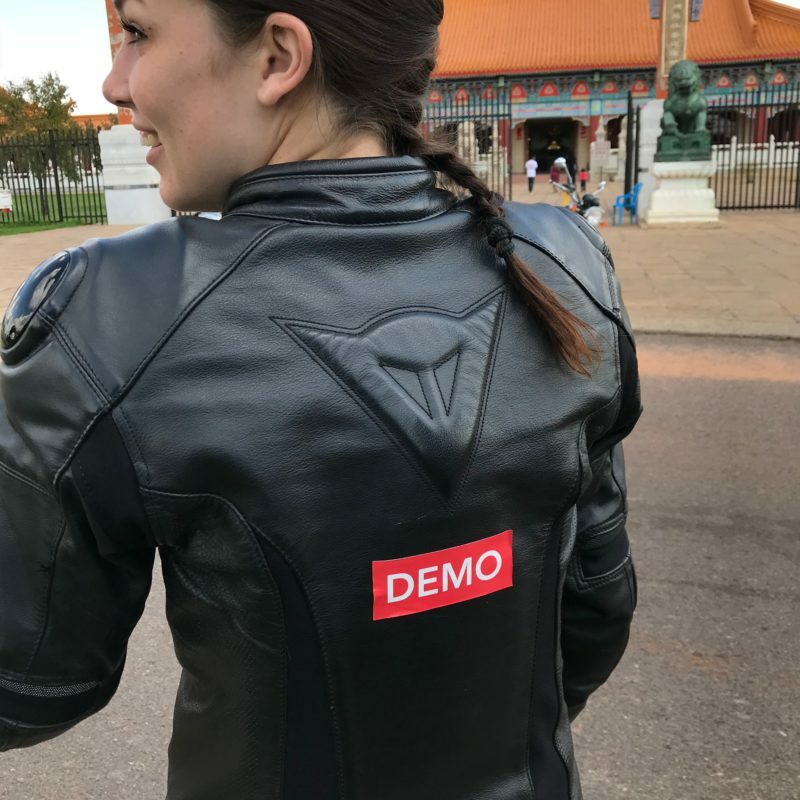 Clearly he knew what he was doing. 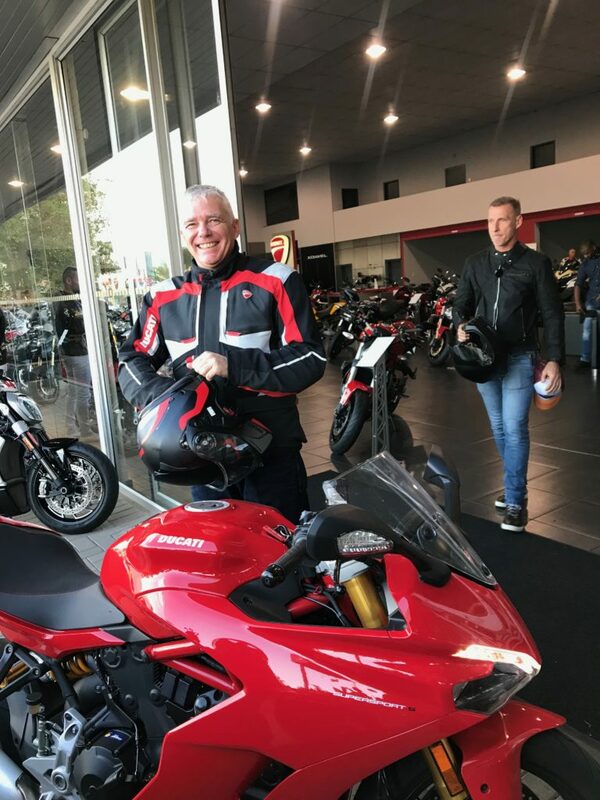 Shaun Portman followed suit on the XDiavel he had borrowed for the weekend. 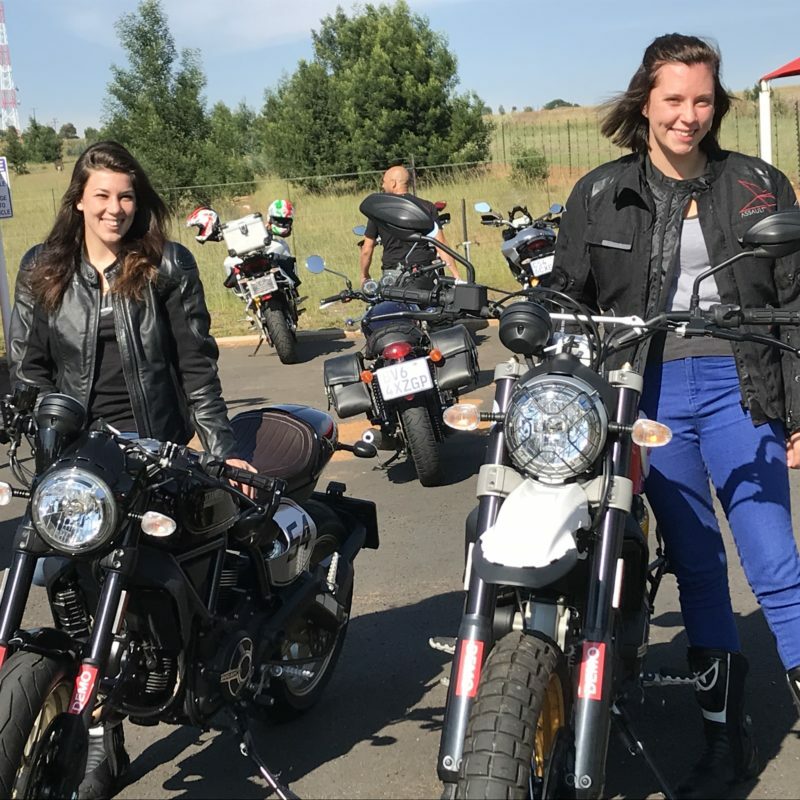 Newly-appointed DOCSA ambassador Zoé Bosch took the Cafe Racer, a bike that is modelled around the classic 60s racers with their low clip-on handlebars and modest wind protection. 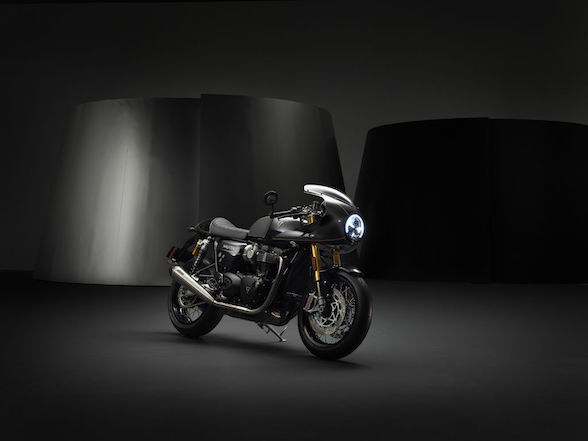 When it was released, I was tasked with shooting it for The Bike Show and while the bike was indeed good, I somehow didn’t quite work. 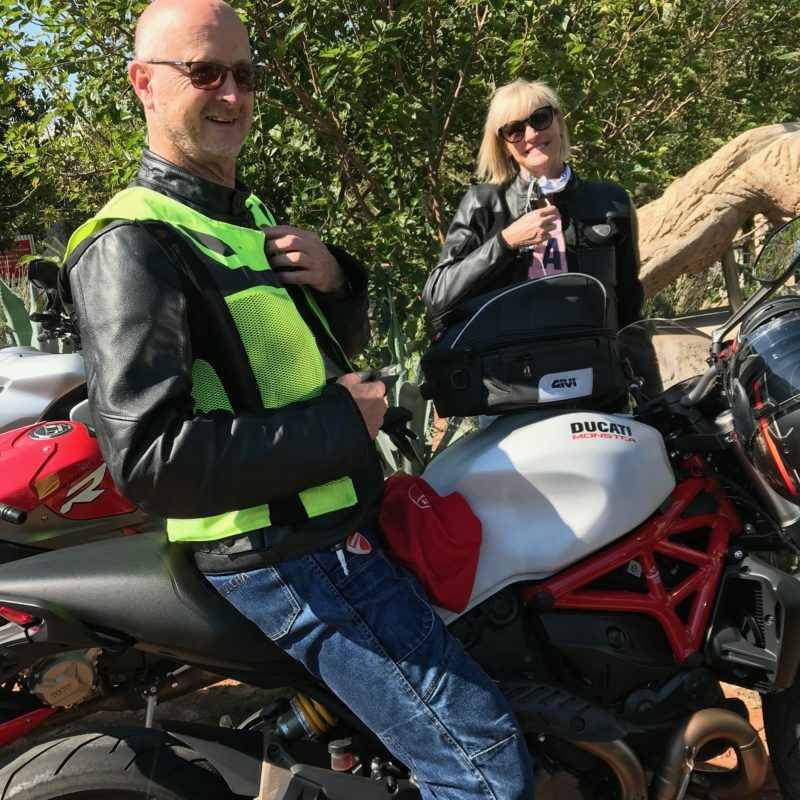 It’s a small bike with a mildly awkward seating position, and I’m a big bloke with a back that has been severely abused. 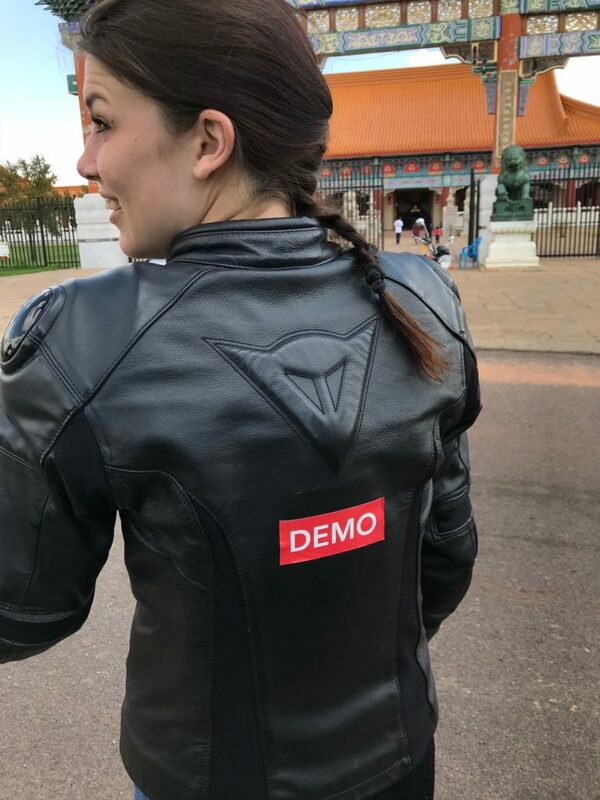 There was very little racey about the combination. 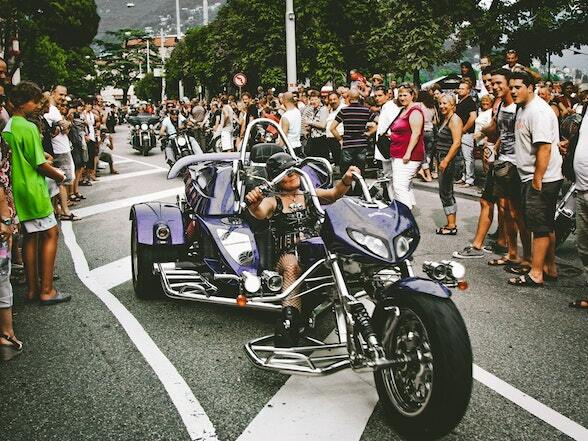 Zoé just looked right. 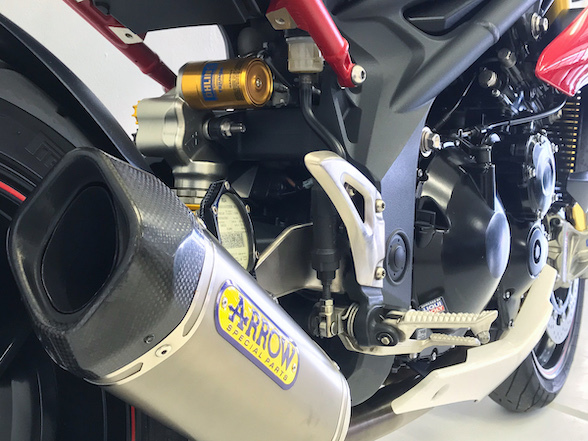 She is small, slight and races for the Monroe Team in the Ladies 250 Cup. 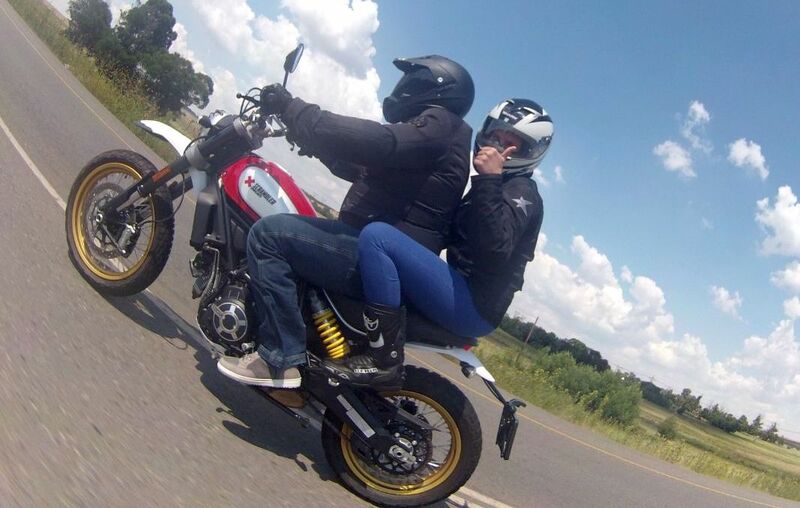 It looked as though Ducati had modelled the entire motorcycle around her. 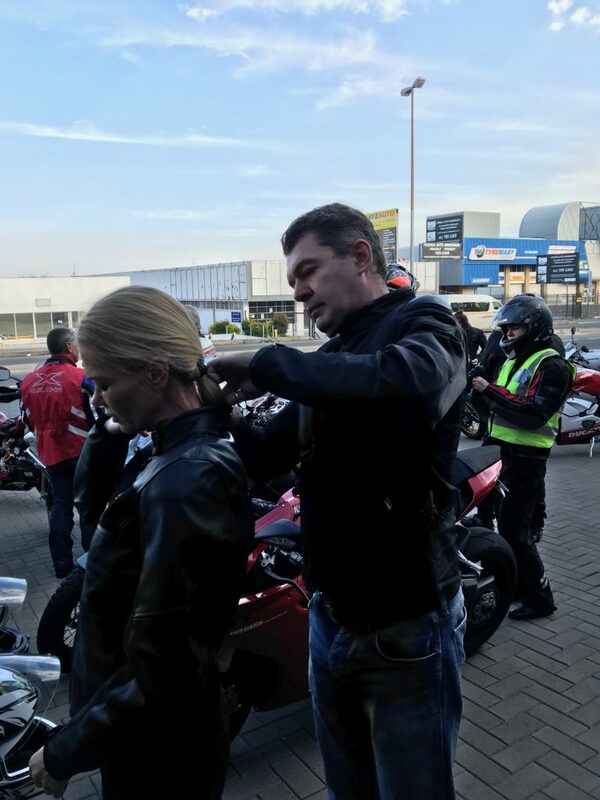 It looked disgustingly right, in fact. 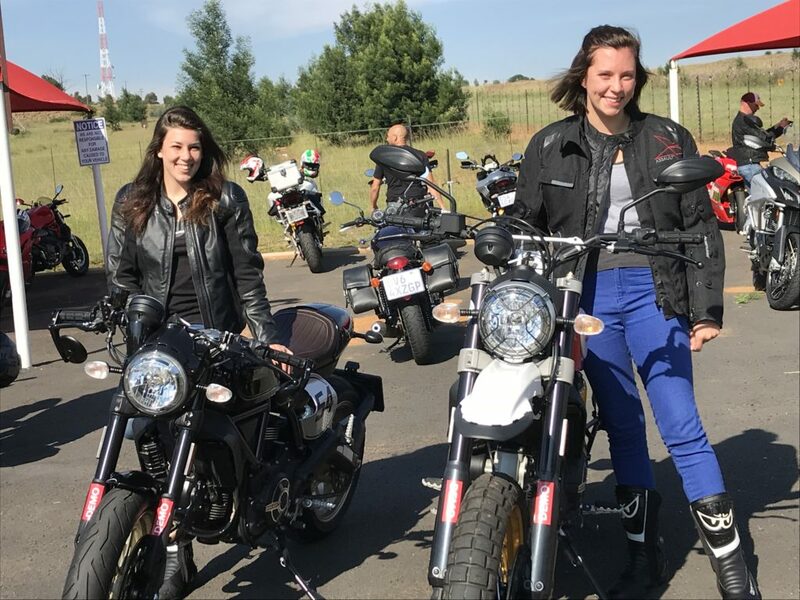 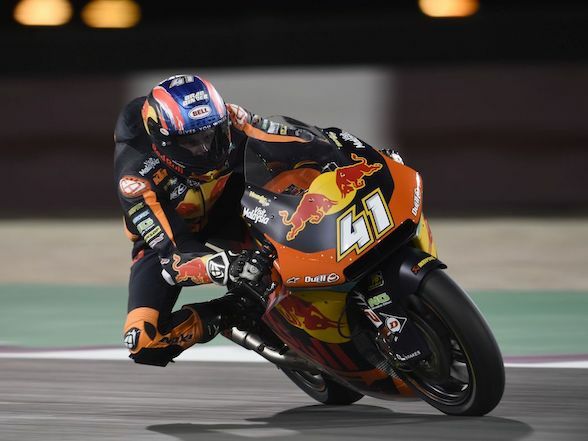 I was on the Desert Sled, and this fact was improved significantly by having fellow Monroe racer Chris-Marie Schlebusch, fresh off her maiden victory in Vereeniging the day before, riding pillion. 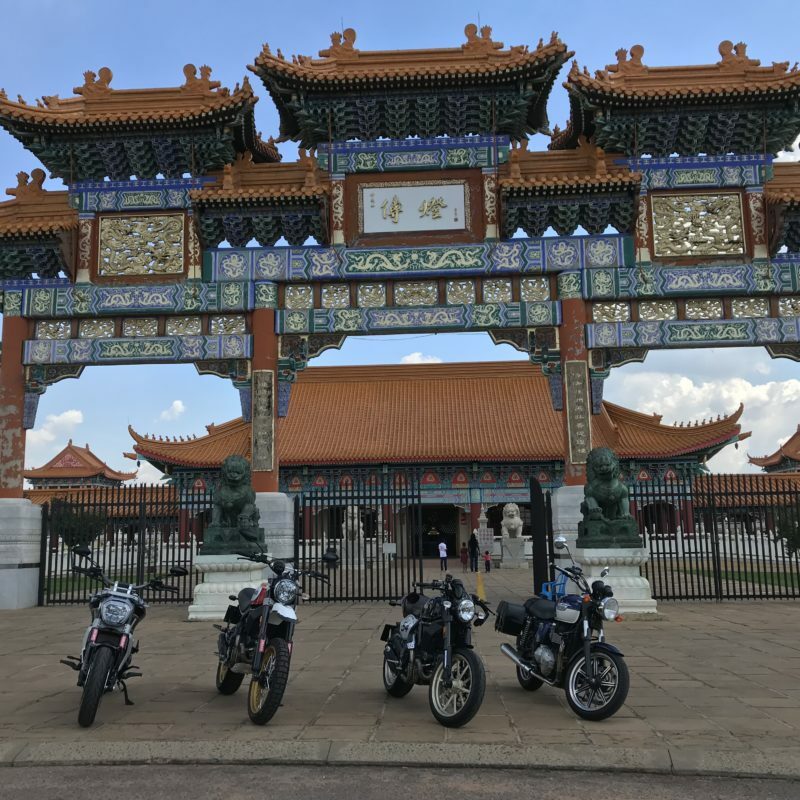 The Desert Sled is far more my style, with a long bench seat, handlebars and footpegs that didn’t require a measure of contortion and still has that 803cc air-cooled engine that can be described as fun. 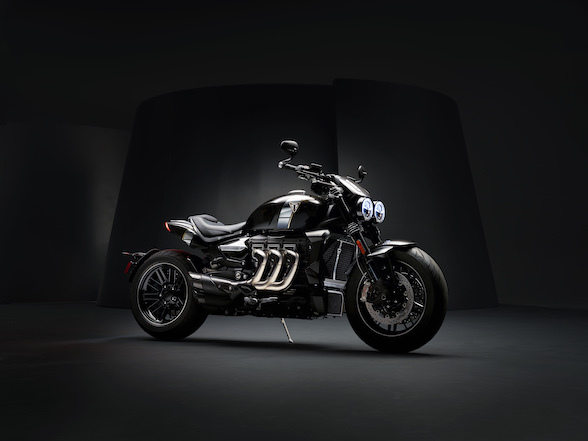 A power output of 73hp is perky but not frightful, 68 Nm of torque is useful but will not tear the time/space continuum and even with Desert Sled’s higher seat height of 860mm, the sanctity of the ground never felt far away. 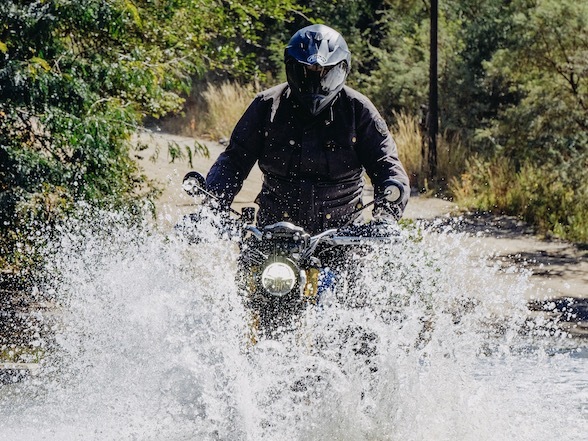 I’m also quite certain that the Desert Sled can go off-road. 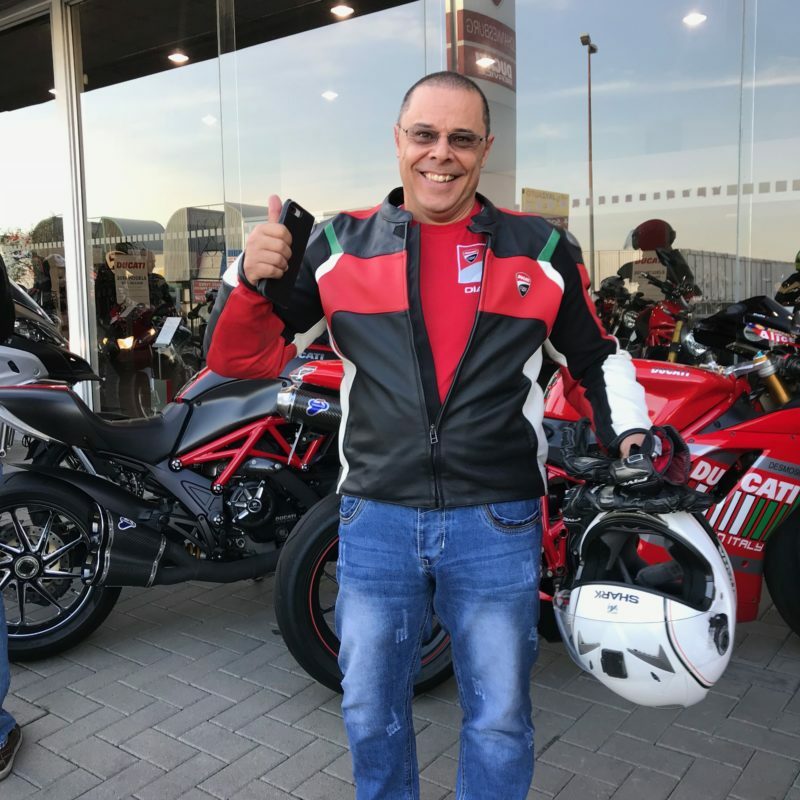 I was stared at with disdain when I mentioned a possible off-road section to the group, especially Portman on the especially unforgiving XDiavel, so I never got the opportunity to test this, but I’m sure it can happen. 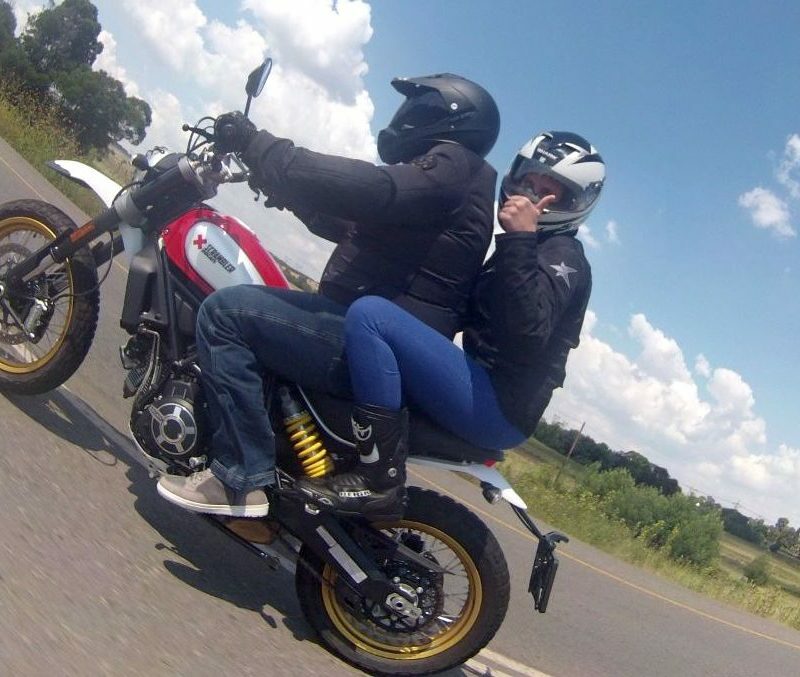 If there is a criticism of the Desert Sled it was weirdly the pillion seat. 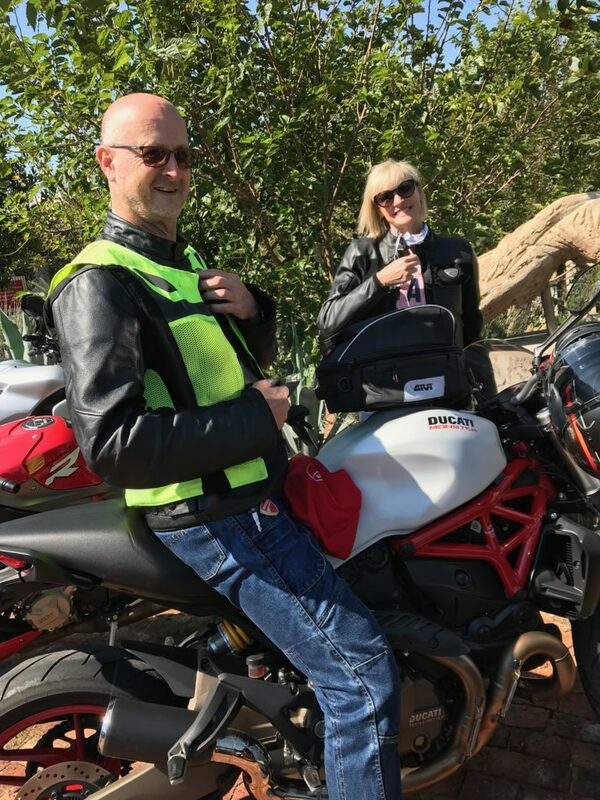 This bike has a classic, bench-type seat, that looks like a miniature sofa and yet my pillion, despite being bored with my riding after her derring-do on track the day before, was becoming increasingly uncomfortable as we went on. 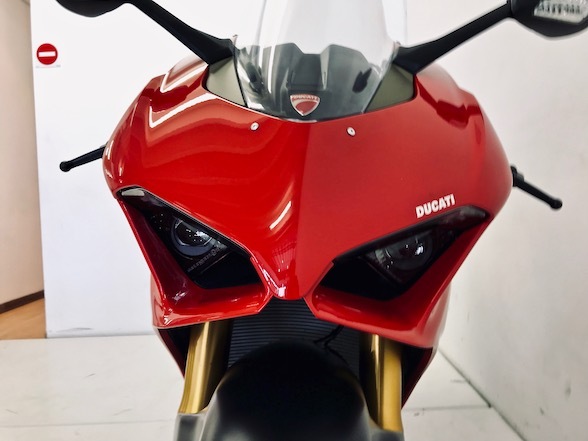 This was odd given its couch-like look, although I fear that this is a strategy of Ducati’s – they make the seat look snuggly on the brochure to help convince the wife when buying the bike and then you get to go solo after the purchase. 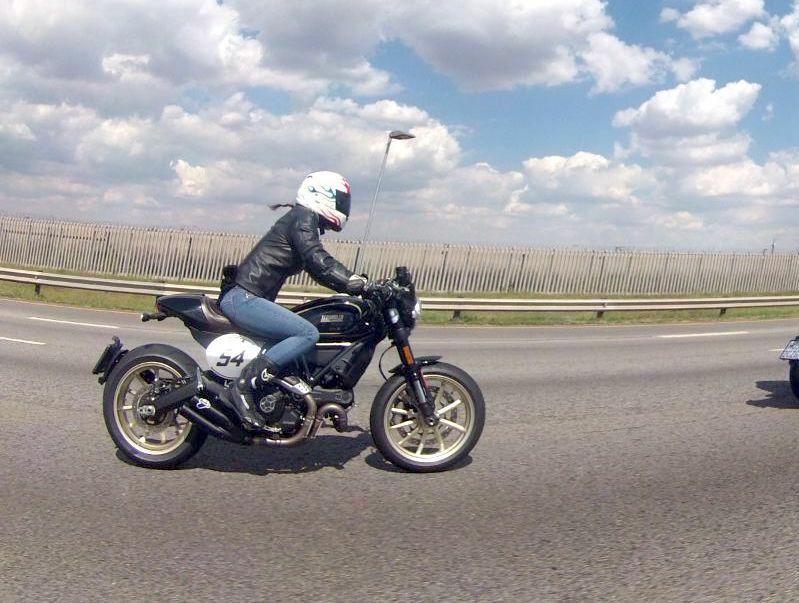 The Cafe Racer and Desert Sled both follow the same recipe of care-free fun as the original icon, but with their own unique style and their own unique dash of personality, a further extension of Ducati’s plan to build a bike for everyone.